We all know the bad things about a dirty environment which includes infectious diseases and public health burden. When exhausted by the day’s work, we tend to relax with music rather than sweep the floor. By virtue of the new 360 S6 Automatic Robotic Vacuum Cleaner, there is no need to clean the house by yourself. 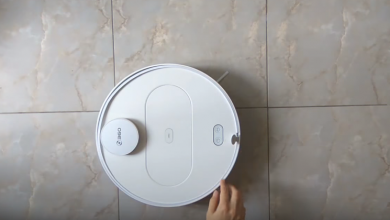 The sweeper can work autonomously and provide you with a tidy home. It can navigate through house and bypass barriers. Moreover, when the power of the battery is low, the device will automatically go back to the docking station and recharge. Why not take one home and try out? I believe you won’t regret it and your wife would love you the more for the kind gesture of getting it. The 360 S6 Automatic Robotic Vacuum Cleaner comes in a very classy and sleek design. It sports a Tempered glass top cover, don’t be deceived by the term glass, this gadget is neither fragile nor brittle. The H11 grade washable high-efficiency HEPA filter screen, blocking 99 percent of dust impurities, avoiding secondary pollution of indoor air. One advantage of this cleaner is that all parts of the device are easy to mount and disassemble, so cleaning this robot won’t be a trouble. 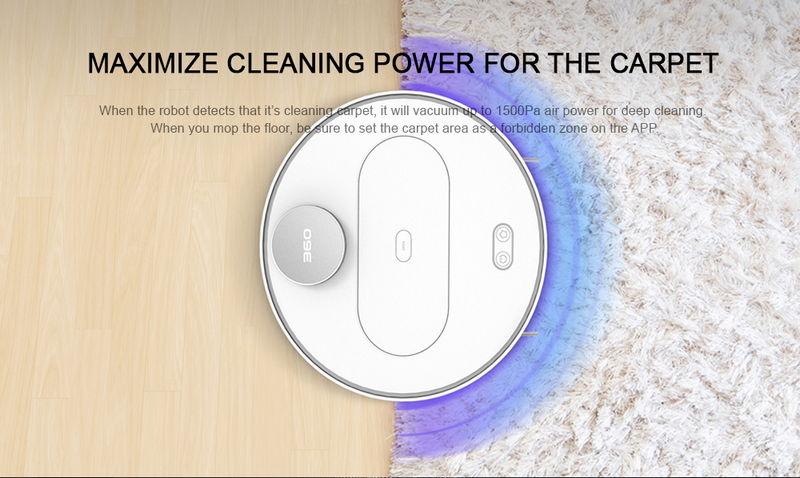 The 360 S6 Automatic Robotic Vacuum Cleaner is embedded with intelligent path planned cleaning function. The LDS sensor allows the robot to provides a precise location of the information after the laser scan around the interiors of your house. 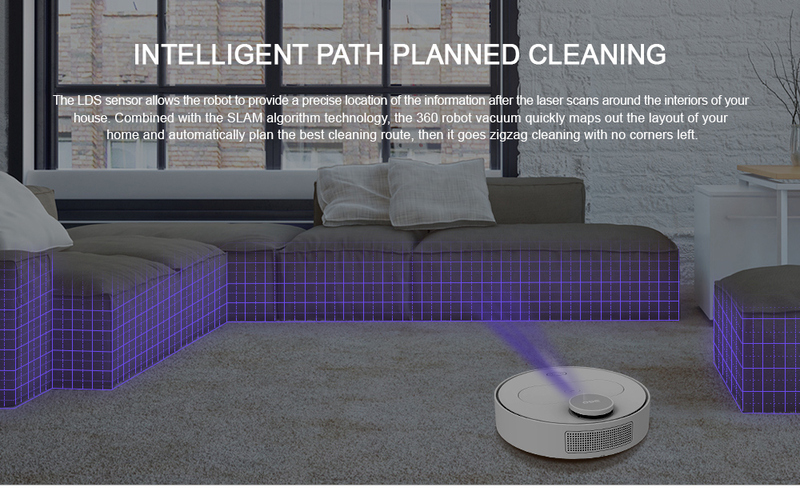 Combined with the SLAM algorithm technology, the 360 robot vacuum quickly map out the layout of your home and automatically plan the best cleaning route, when it goes zigzag cleaning with no corners left. The cleaner is also embedded with a smart obstacles avoidance. 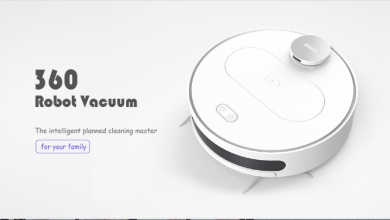 The cleaner adopts multiple intelligent sensors to avoid running into your furniture, stairs, and other obstacles and pass neatly around the obstacles. The device is powered by a powerful 3200mAh battery, With this, the can work for up to 90 – 120 minutes on a single charge overall. Moreover, S6 automatically returns to its home base to recharge itself when the battery is low, or its done cleaning. 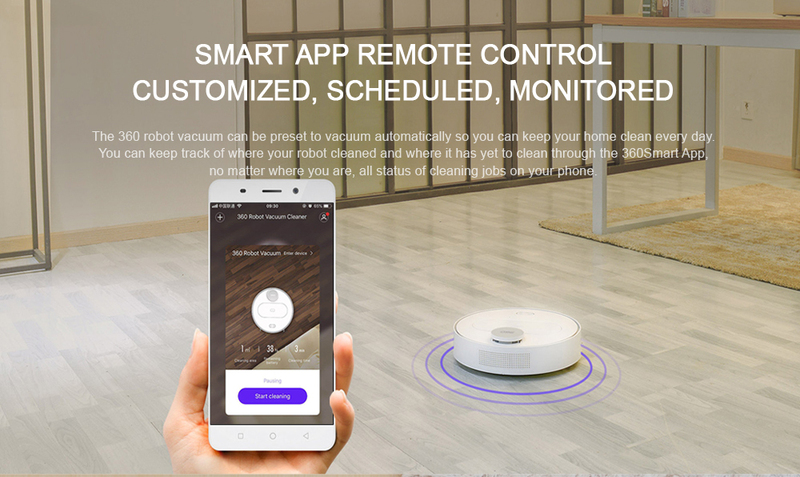 That’s not all, as you can also control, operate, schedule and monitor your robot vacuum with your smartphone. Before we forgot, it works quietly with noise level less than 65db, you’ll never feel bothered and When suffering full dustbin, glitches, wheel twining, or undercharging, the cleaner will make a sound to remind you. It sports a Powerful 1800Pa large suction, attention to details cleaning, no leakage.